Though the Sikhs in general are a prosperous nation but certain tribes like Sikligar, Wanjara, Satnami, Johri, Tibetan, Assamese, Tharu and Nanakpanthis/Agarhari Sikhs have remained neglected over the ages and have not got the means and chances to develop. Some of them do not even get their two meals daily and are oppressed by higher classes. Recently however certain Non Government Organisations (NGOs) have taken pains to assist these backward Sikh tribes, but their capacity is too small for such a large set of sub-groups. Lot more is needed to be done in this regards. This paper studies the history, present state and future of these tribes; the efforts done by various NGOs to develop them and the gaps needed to be filled for improvement of their lot. Three major tribes Sikligar, Vanjara and Satnami are studied in detail while a brief about other tribes is included keeping in view the length of the paper. The researcher has been connected with these tribes since last 25 years, visiting them occasionally tribes and was personally involved in various schemes of their development. Knowledge from his experience has been further helped by a Seminar 'Sikhs Living in States other than Punjab' conducted by Institute of Sikh Studies, Chandigarh from Nov. 24-25, 2009; and has maintained personal contact with various persons active in the field like S. Harcharan Singh Josh, Dr Himadari Banerjee, Joginder Singhh Jogi, Er Mohinder Singh, Nanak Singh Nishtar, Jagmohan Singh and Sukhdev Singh. 1. They are living in penury. They are subject to maltreatment and abuse by all and sundry. They are devoid of their basic rights even. 2. They have no address, no landholdings, no citizenship documents and no identity proof. 3. Their children are out of school and the women struggle for dignity. 4. They have been de-notified and devoid of all privileges of tribes and minorities.. 5. A continuous stigma of criminality has been attached to Sikligars whereby they have been made vulnerable to frequent police harassment merely on ground of suspicion. They are unable to live dignified life like other citizens of the country. 6. There have no survey of population of these tribes since 1931; hence no reliable data is available about their total numbers. 7. Not many are accounted under ST, SC or OBCs in almost all the states. A report by the National Commission for Denotified, Nomadic and Semi Nomadic Tribes submitted to Prime Minster has following to say: "These communities across were seen dwelling in temporary shelters or tents on vacant lands. They had no permanent addresses and hence had no land allocation for housing purposes. With no proof of residence or property ownership certificates, they were not in a position to avail ration cards and had not been recorded in BPL lists. They also faced lot of trouble in getting caste certificates hence had no access to government welfare schemes and could not send their children to schools. Illiteracy and lack of awareness have kept them away from the political arena. They remained the most marginalized, neglected, scattered and excluded from society. Lack of identity and residential proofs do not allow them to come under the preview of various poverty alleviation programmes of the government". 1. The Sikh tribes should be accorded the Status of Minority in their respective states through Gazette notification adopting uniform criteria as has been done by Karnataka, Andhra Pradesh and UP. 2. State Government should allot well constructed houses to these tribes and get registered on their names to ensure safety, security and stability avoiding their undue displacements. 3. BPL cards should be issued to all these tribal families living below poverty line. 4. Provision for availability of tap water within the residential promises to these tribes. 5. Toilets should be provided either within the residential premises or through community toilets. A proper waste disposal system should be put in place by the civil agencies of the respective state governments. 6. Old age pension should be provided to all eligible persons from these tribes. 7. Provision of schools, educational and vocational training centres and free education up to class twelve, financial aids for professional and vocational courses, mid day meal, free uniforms, books, mobile libraries etc. should be made. Adult literacy programme should be floated for the elder. 8. Awareness programmes should be launched about their rights and Government schemes by the Government and the NGOs. 9. Industry support must be extended to the skilled artisans of these communities. Establishment of small scale industries, cooperatives should be promoted by providing easy loans, financial grant and the technical know-how in order to generate more gainful employment. Prime Minister Manmohan Singh has said that the issue of giving Constitutional protection and privileges to certain tribes, which were stigmatized by the British, is expected to come before the cabinet soon. The Ministry of Social Justice and Empowerment has completed the examination of the recommendations of the National Commission for Denotified, Nomadic and Semi Nomadic Tribes. It is hoped that the matter will soon come before the Cabinet; the Prime Minister wrote to Haribhau Rathore and MP from Maharashtra. Other organizations involved in uplifting these forgotten Sikh tribes include Shiromani Gurdwara Parbandhak Committee, Sri Amritsar, Delhi Sikh Gurdwara Management Committee, Gurdwara Parbandhak Committee Sri Hazoor Sahib, Gurdwara Parbandhak Committee Patna Sahib, Scottish Sikh counsel Scotland, Trust for Vanjaras and other Weaker sections, Chandigarh, Guru Angad Vidiak and Bhalai Counsel Ludhiana, Akhar SOH Sholapur, Karnatka Sikh Welfare Society, Nishkam Sewa Trust, Satnam Foundation Chhatisgarh, Gurmat Gian Missionary College, Ludhiana, Poorvi Bharat Sikh Mission,UP Sikh Mission, Nagpur Sikh Mission, Guru Gobind Singh Study Circle Mumbai, Guru Granth Sahib Study centre Trust Cheenai, Sikligar Sikh educational Loan Fund, Forum for Forgotten Sikhs in the south; In Calcutta Agrahari Sikh Samaj, Gursikh Jatha, Chiraag Club, Guru Tegh Bahadur Sewa Samiti, Kalgidhar Club have been looking after the interests of Agarhari Sikhs and other Sikh Tribes in Bengal and Bihar. The task of developing them is too huge. Though large number of organizations are working; but their field of activity. is very limited due to financial and manpower constraints. They are not expected to carry out major improvements unless helped by Government and major NGOs. The entire Sikh nation has to rise to change the poor state of these tribes. The identification, development and preservation of these Sikhs have been a matter of great concern because of continuous neglect and lack of total development. 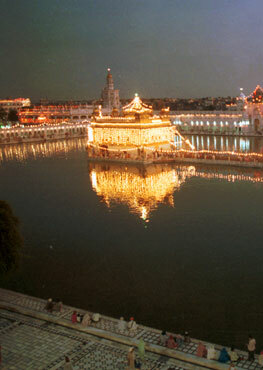 They have not been given equal status even by the Sikhs from Punjab and often neglected. I found the main Gurdwara in Nasik not even allowing entry to the Sikligar and Vanjara Sikhs due to lack of awareness; what to talk of share in management in religious institutions even though a large number of them were settled just opposite to the Gurdwara in thatched huts and in very unhygienic conditions. The waste was spread all over and the area smelled badly. The well-to-do Sikhs of the area living close-by did not do much to improve their condition. This was the general treatment met to these tribes by their co brethren all over India. Until this attitude is changed, much cannot be expected in improvement of their lot. 1. Develop a model for their development. One such model adopted this researcher promoted in Ludhiana was to build 5 small institutions within one network. These included; one school up to tenth class; one sewing and stitching centre for ladies; one occupational development centre with lathes; one dispensary and one religious institution to maintain their identity. This has been working effectively in Ludhiana Moga, Jullunder and Hoshiarpur and is in the process of introduction at other places. With the active assistance of Scottish Sikh counsel it has been planned to construct such centres in each major concentration of these tribes. 2. Demographic survey of all these Sikh tribes either by Government or by a voluntary NGO to ascertain their actual number and the economic and social health. tribe list should be prepared; their names should be included in the census return; they must be issued photo identity cards; Adhaar Card; Ration cards, BPL cards and Voter cards and their names must be included in voters list. They must be notified under scheduled tribe List and issued caste certificates without hassles. 3. Mass campaign for general awareness among the people specially the Sikhs and the Government Departments about their condition. 4. They must be given constitutional protection and privileges at par with SC/ST and their exploitation should be stopped. 5. Coordination effort at removal of illiteracy; providing occupational and professional education; serious follow up of Adult literacy Scheme for their elders and scholarships under the various schemes. They must be provided mid day meals, school dresses, books and free transportation from residence to school. A blueprint is needed in this regard so that the Government could be apprised of the illiteracy among them and need to educate them and the benefits of various schemes could be made available to them 6. Awareness programmes among these tribes regarding their culture, maintenance of dignity, need for occupational development and education, utilization of various schemes for their benefits. 7. They must be provided free plots registered on their name for building houses and helping them in building pucca houses as per their family requirements with attached bathrooms and toilets; professional workshops and carriages for conveyance of their ware for selling at distant places. 8. They must be respected; given due honours by the Sikh religious institutions on the special day of Martyrdom of Guru Tegh Bahdur, Bhai Mani Singh, Bachittar Singh, and other great Martyrs. Their mention must be included in Sikh History as a separate chapter if need be. 9. The Mass awareness campaign amongst all Sikhs and other people of India and the world about these tribes. 10. It is essential that the Sikh NGOs and other welfare organsiations wake up to the needs of these forgotten tribes. The various NGOs presently working for the cause must unite. An outline of a Global Sikh Tribal Development Centre is given out has under. 1. 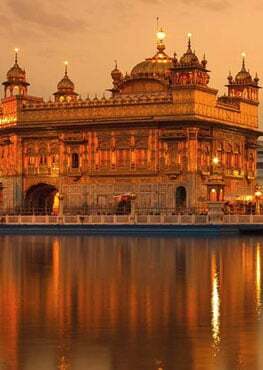 Cell at SGPC Amritsar will identify and develop Sikh tribes in Northern India i.e., Punjab, Chandigarh, HP, UP, Haryana, J & K and Rajasthan. 2. Cell at DSGMC will identify and develop Sikh tribes in Delhi, MP, Chhatisgarh, Maharashtra and Gujrat. 3. Cell at Patna will identify and develop Sikh tribes in Bihar, Bengal, Nepal, Sikkim, Bhutan and seven states adjoining Assam. 4. Cell at Hazoor Sahib will identify and develop Sikh tribes in South including Andhra, Karnatka, Goa, Kerala, Tamil Nadu and Andamans. A proper constitution should be drafted and occasional preferably yearly meetings of all the cell representatives at one common place. 1. Dhillon Balwant Singh, (2009), The Sikhs in the South, Seminar Proceedings of institute of Sikh Studies (op cit), Seminar at Institute of Sikh Studies, Chandigarh, 24-25. 4. Grewal D S (1991), Research on Tribal Languages of Arunachal Pradesh since India's Independence (1947)-a Survey, RESAURN, XVII:1/2 Spring-Winter 1991, pp.1-10. 8. Grewal D S (2009), Assamese Sikhs, Eternal Voice, Eternal University, Vol 1, No. 3 Aug-Oct.
13. Institute of Sikh Study: Seminar Proceedings of Seminar held on Nov 24-25, 2009, Chandigarh, 2010. 14. Sher Singh Sher, (1996), The Sikligars of Punjab, Sterling Publishers, Jullundher. 15. Kirpal Kazak, (1990), Sikligar Kabeele, Punjabi University Patiala.